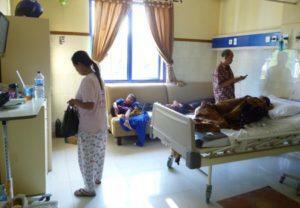 HomeASEANIndonesia needs new hospitals – Are private providers watching? Indonesia needs new hospitals – Are private providers watching? Historically viewed as a low-cost market, Indonesia is now one of the key hubs for growth of hospitals. Driven by the need for better healthcare services for the growing middle and upper socioeconomic classes, the opportunities for private healthcare providers and medical equipment manufacturers are on the rise. EMeRG anticipates the private hospital market to grow at a CAGR of about 9% in the next 5 years. The overall hospital services market however is expected to grow at double digits over the next 7-8 years. Indonesia’s largest private hospital operator – PT Siloam International Hospitals plans to launch 12 new hospitals in Indonesia. This is a part of the group’s plan to launch 30 new hospitals in the country by 2017. In March 2015, Indonesia’s fourth largest hospital chain operator – Mitra Keluarga Karyasehat announced its plan to chase $345Mn through an initial public offering. The hospital wishes to utilize these funds for new hospital creation across Jakarta and East Java and is looking to expand its hospital base from 11 to 18 by 2019. In 2012-2013, Lippo Karawaci – one of the largest real estate developers in Indonesia announced its plans to establish hospitals across Surabaya, Semarang and Kalimantan. Malaysia based IHH Healthcare had also announced its strategy to look for expansion into Indonesia for sustained growth. Given the overcrowded public hospitals and the underfunded facilities within, the private sector is expected to play a bigger role in healthcare delivery in the coming years. The newly introduced universal healthcare coverage (JKN) doesn’t reimburse adequately enough to keep the private hospitals interested. While the demand for various oncology and cardiovascular treatments is on the rise, the poor reimbursement scenario has dampened growth of such procedures. However, the steady rise of disposable income in key Indonesian cities is what private hospitals are banking upon. While private hospital chains are eying the Indonesian market, they are faced with the challenge of lack of physicians and specialists. The current pool of 13,000 general practitioners is severely short of serving a population of over 240Mn. It is also estimated that there are about 42,000 specialists in the country, most of whom practice in Java. Given the rising population, Indonesia may require about 30,000 more primary care physicians by 2025. In 2013, India based Apollo hospitals had announced their expansion plans in Indonesia. However, there haven’t been any reported expansions for the hospital group in the country. Despite the innate challenges associated with a typical emerging market, the growth potential for private hospitals is tremendous in Indonesia. It is anticipated that private investors will be targeting the need for specialized healthcare in Indonesia. There will also be an aggressive pursuit to chase the 1.5Mn Indonesians who travel abroad for specialist treatment, spending about $11.5Bn.